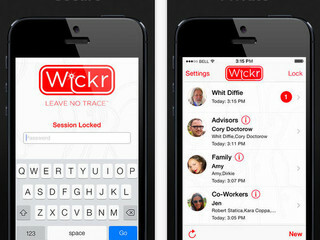 Messaging startup Wickr came to prominence last year, in the wake of the NSA scandal, with the mission of giving users privacy and security. There was plenty of talk in the tech industry about such ideals at the time, but now that the Snowden leaks are receeding into the past, companies don't seem to care quite as much these days. At least not publically. Now Wickr is setting out to prove that its focus on security wasn't just a gimmick, nor was it pandering. The company wants you to know that really does take that mission seriously and to heart. So seriously, in fact, that Wickr announced on Wednesday that it is, essentially, splitting in two in order to put even more emphasis on promoting privacy and freedom. While the company will keep its encrypted messaging platform, it is also launching a new non-profit organization called Wickr Foundation, which it says will be "dedicated to supporting a strong free society by championing private communications and freedom of information through the Private Web." The new arm of the company will be headed by Wickr’s Co-Founder and CEO, Nico Sell. That obviously means that Sell will be leaving her post as the CEO of Wickr, though she will remain Co-Chair of the Board of Directors at the company. She will be replaced by Mark Fields, the head of CME Group’s Strategic Investment Group. Fields worked at CME for the last 15 years, and helped steer it toward its IPO, by overseeing $20 billion in M&A deals. CME Group has a history with Wickr as an investor in the company, having participated in its $30 million Series B funding round in June of last year, which came only a few months after the company raised $9 million in Series A funding in March. 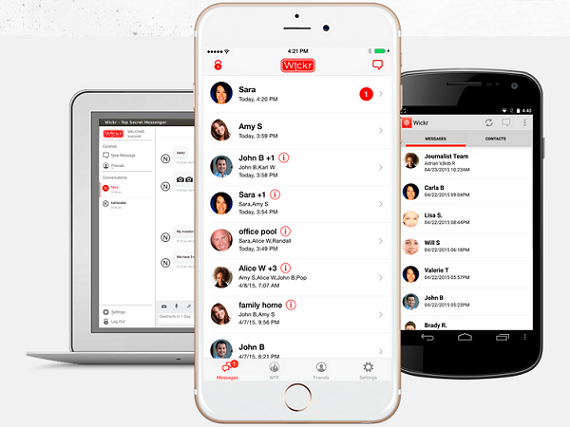 Messages that are sent via Wickr are secured with military-grade encryption, and they can only be decrypted by the recipient; not eve Wickr can decrypt the messages. 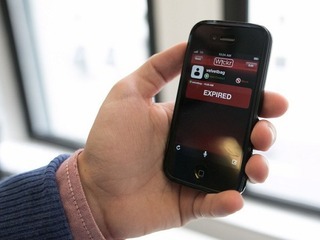 The sender decides who sees the message, at what time, where, and for how long, and the app deletes metadata like location, time, identification, and edits. The files users delete from their devices are then “forensically shredded.” Wickr gathers no information on its users, and it’s integrated with Box, DropBox, and Google Files, so you can send PDFs and other files securely. Founded in 2011, and headquartered in San Francisco, Wickr has become a top-ranked free social app in countries that include China, India, Brazil, South Africa, Israel, and Spain. The company now serves up over a million self-destructing messages a day in over 200 countries. After it was revealed that the NSA was spying on American citizens, anonymity and privacy apps began springing up all over the place. Some where successful, like Yik Yak, which has, in the least year, more than doubled what Secret has raised, with $73.5 million in funding. That included a $62 million round. Other did not, like Secret, which was recently forced to shut down only a year after launching. With the launch of its Foundation, though, Wickr is looking to keep the flame alive, and to keep promoting the idea of freedom on the Web, even as so many have begun to move on. “The work of the Foundation will be dedicated to advancing the evolution of humans and society by advocating for the Private Web. The goal of the Private Web is for each person, no matter of frontier, to have private conversations without prying eyes and freedom of information without censorship for free," Sell said in a statement.